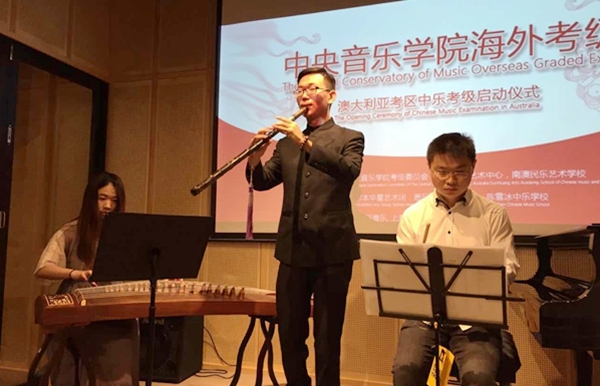 Co-Director Professor Jocelyn Chey spoke at a ceremony in Chatswood on 8 December to mark the launch of the graded examination system for Chinese music administered by the Central Conservatory of Music, Beijing. These internationally recognised grade exams can now be taken in Australia and are being taught by the Sydney International Academy of Performing Arts. Associate Dean of the Conservatory Professor Peng Huanlei 摓焕磊 attended the ceremony and will invigilate the examinations while in Sydney. The event was supported by Parsons Music, Chatswood. Councillor Brendon Zhu 朱嘉源 also attended, representing Willoughby Council. 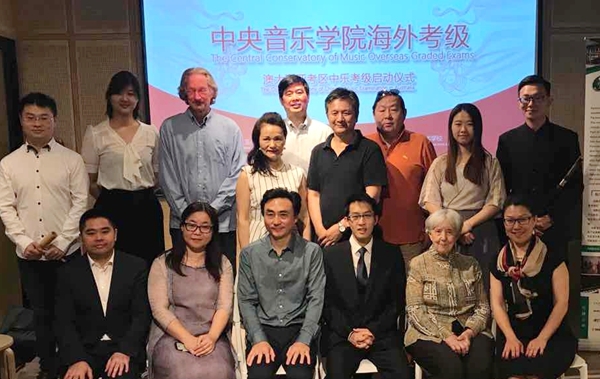 Professor Chey welcomed the establishment of this new cultural connection between Australia and China. She said that it complemented the work being done in the Australia-China Institute for Arts and Culture at Western Sydney University in research, exchanges and creative artistic work. Noting that Sydney was a vibrant multicultural society, she predicted that cultural exchanges between East and West would bring about greater innovation and creativity in the future. After the ceremony there was a Chinese musical performance by three students from the Sydney International Academy of Performing Arts.